Thomas sat by himself, wondering. He was not sure what to think and feel about all the stories he was hearing. People were saying Jesus was alive again. They had seen him. In a garden. On the road. Around the table. In a locked room. But how could this be? Thomas wanted to believe it. But wanting something to be true does not make it true. "What's the matter, Thomas?" asked Mary. "Maybe you think too much," said Mary. "Just believe!" Thomas frowned. "Is it wise to believe without thinking? To accept whatever people tell you? That is not what Jesus taught us. He wanted us to use our minds. To ask questions. To wonder." "True," agreed Mary. "But we are your friends! Can you not trust us to tell you the truth?" "I want to trust you," sighed Thomas. "But unless I can see for myself, I will not believe Jesus is alive." A week passed. Thomas and the other disciples were together when all of sudden Jesus was there with them. He seemed to appear out of nowhere. "Go on, Thomas," said Jesus, holding out his hands. "See for yourself. Touch me." Thomas took the outstretched hands. He touched the wounds. He felt so mixed up. He was glad to be with Jesus. Confused about how it was possible. Ashamed that he had not trusted his friends. "Be at peace, Thomas," said Jesus. "Do not let your heart be troubled." Then Thomas was so happy he cried, and the tears washed away his shame and sadness. It felt so good to be with Jesus again. But Jesus warned all of them not to think that everything had gone back to the way it was before. "The time is coming," he said, "when you will not be able to hold on to me, talk to me, see me in the old way. You will have to know me in a new way. But I will be with you always, in every place and every time." Then Jesus was gone. But not gone. The place where he had stood was empty. But somehow Thomas knew that he was still there with them. The storm inside Thomas settled and became. This is one of more than 100 stories included in the beautiful new book from Wood Lake, Read Wonder Listen: Stories from the Bible for Young Readers which we invite you to discover below, and add to your library and gift list. 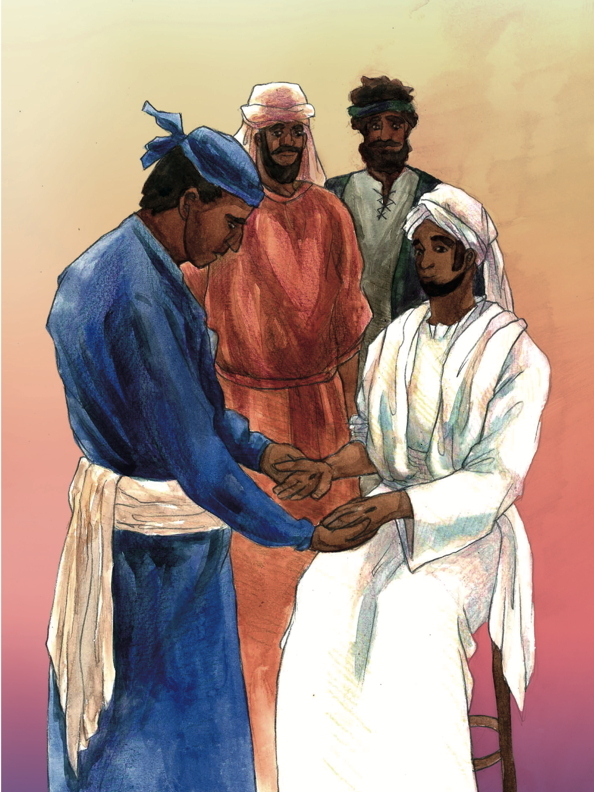 Stories from the Bible for Young Readers. 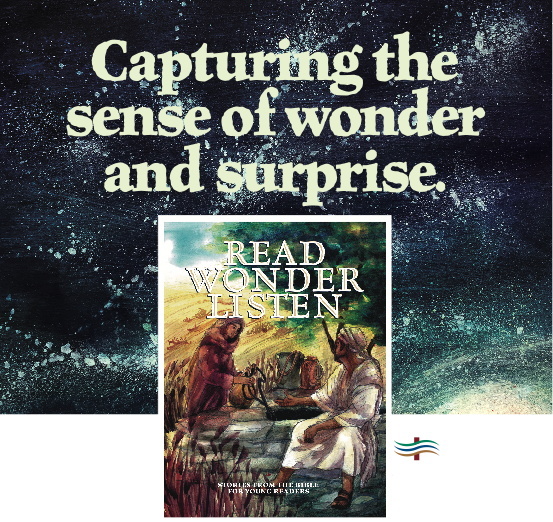 Laura Alary combines her gift for telling the biblical stories, with historical research, contemporary concerns about language, and a compassionate and inclusive theology, making Read, Wonder, Listen a perfect children's Bible for progressive Christians. "The reason these stories have lasted so long," writes Alary, "the reason they were collected and saved so carefully, is because people have always found in them something precious. Something that speaks to people of all times and places. All of these stories are about the great Mystery we call God. They tell of people who met God, wondered about God, waited for God, and were surprised by God." That sense of wonder and surprise is strikingly and evocatively captured in the full-colour illustrations by Ann Sheng. See below for add-ons, discounts and special offers. At Wood Lake Publishing we’re proud of our more than 35 year history serving readers and churches with quality books. 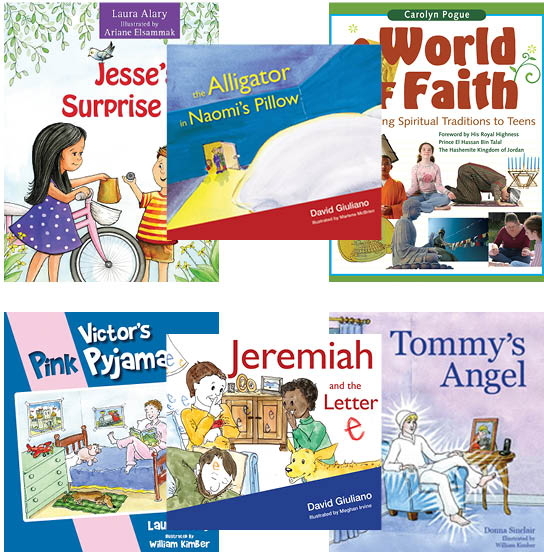 We have assembled a Package of 6 children's books that explore spirituality at a special, affordable price. All 6 for only $45.95* A Savings of over 50%. Click Here. Imagining, living, and telling the faith story. WOOD LAKE IS THE FAITH STORY COMPANY. The story of Jesus and the churches that carry his message. Wood Lake has been telling stories for more than 35 years. During that time, it has given form and substance to the words, songs, pictures, and ideas of hundreds of storytellers. Those stories have taken a multitude of forms - parables, poems, drawings, prayers, epiphanies, songs, books, paintings, hymns, curricula - all driven by a common mission of serving those on the faith journey.